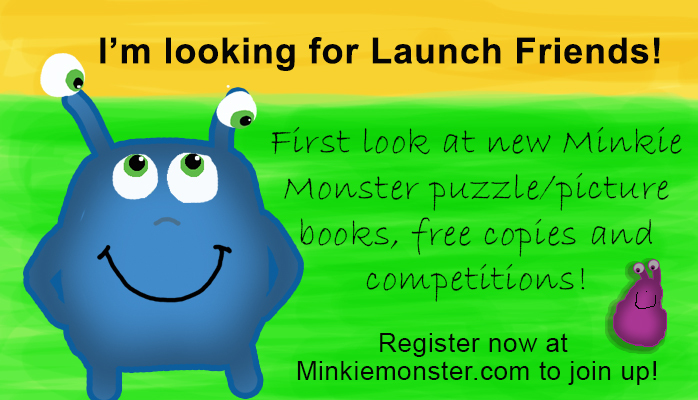 Home » Blog » Join as a Launch Friend and for a limited time get Space Puzzles free! I’ve reached, gulp, that time of life where most of my friends have children, This is actually great as three years ago my own little boy was born and my friends all seemed to have babies at the same time. He’s now three and a little too energetic for me but we get along. He runs around me and when I catch him, he gets cuddles. 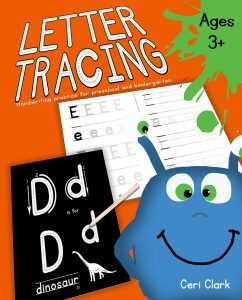 He has now started to like puzzles and I want to give him some practice with counting, reading as well as tracing letters and numbers. 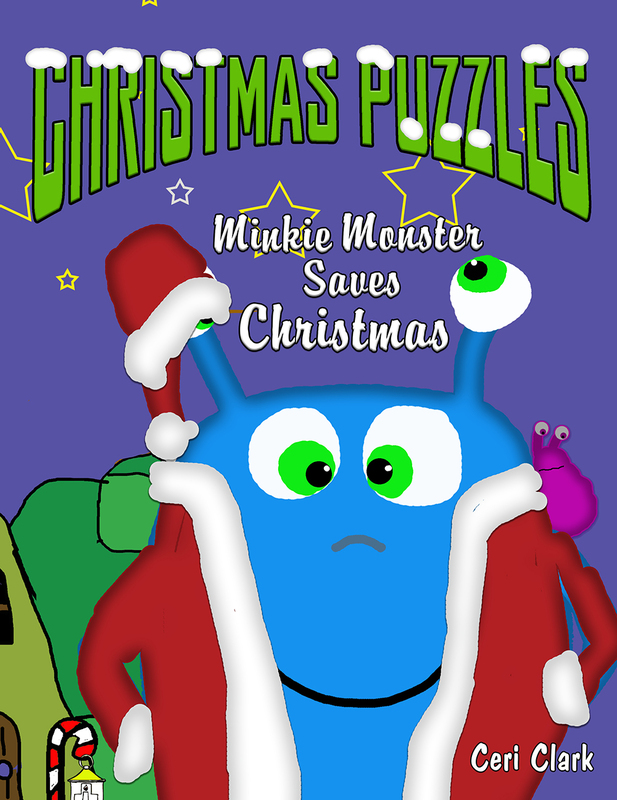 I was buying him puzzle magazines and realised I could do the same thing but wouldn’t it be nice if there was a cute story running through it? 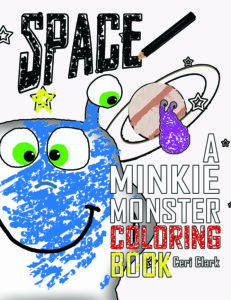 While playing with a drawing app on my tablet, I came up with a little blue monster called Minkie. My son loved him so much, I did some more designs and came up with some stories. I’m not sure if this is TMI, but he got so fond of dear Minkie that he refused to put his ‘night-time pants’ on unless we drew a Minkie Monster on them. He then danced around the bathroom singing, Minkie on my winkie, Minkie on my winkie! Anyway enough of my son’s strange habits. He will get me back for this I’m sure several times before he grows up (I’m easily embarrassed). 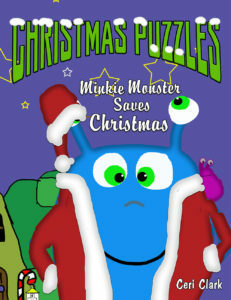 I have finished one of the stories, tested them and I’m starting the launch phase of the picture book. To this end, I am looking for some friends who will help me launch this book in style. 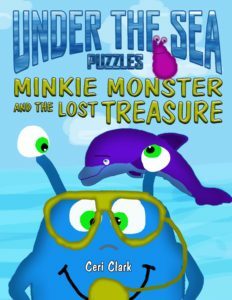 In exchange for a review on Amazon during launch week, I am giving away free PDF copies of the book. These can be instantly downloaded when you register and select Launch Friends from the register page. I am also giving away an Amazon gift card to one reviewer chosen at random and a few other goodies. 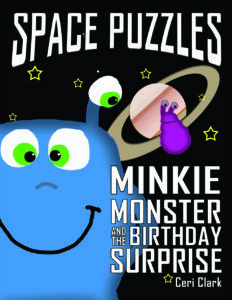 As an added bonus, anyone that registers at my site, (you don’t even need to be a Launch Friend) can download a free MInkie Monster coloring book based on Space Puzzles: Minkie Monster and the Birthday Surprise. Go on what are you waiting for? 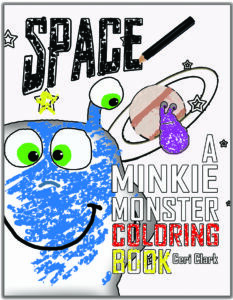 If you have kids of up to 6, visit https://minkiemonster.com/ to get the freebies!